The following report is a cumulation of MSV's investigative efforts, analysis and opinion investigating Hoboken voter fraud, now into the tenth year. The opinions stated below are the sole responsibility and copyright of Hobokenhorse.com. The arrest Friday of William Rojas, 68 at Fox Hill Gardens, a senior building of the Hoboken Housing Authority sent shock waves across Hoboken. Following three arrests months earlier connected to the 2013 Hoboken mayoral election; this arrest paves the way for further law enforcement action connected to the 2015 Hoboken council elections. That singular arrest signals an ongoing probe putting others in jeopardy where hundreds of paid "campaign workers" almost to a person similarly cast ballots using vote-by-mail ballots. 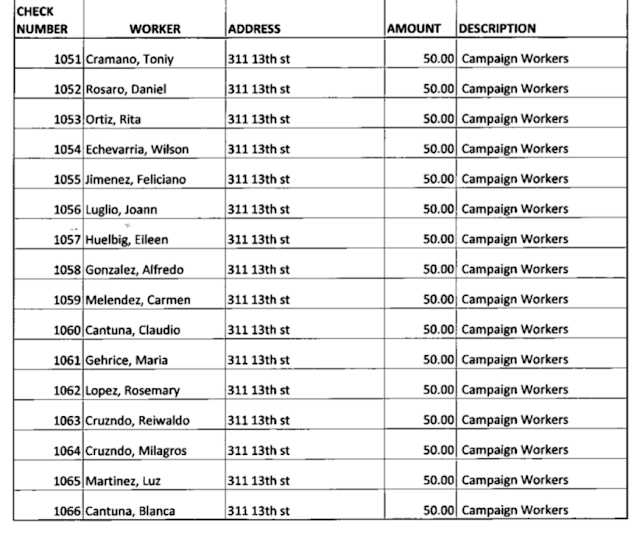 While Rojas is an exception, almost all of those "campaign workers" were listed on the campaign reports of Michael Russo, the third ward councilman up for reelection this November. The Department of Justice alleged Rojas was a campaign worker for a yet unnamed Hoboken campaign with payment for Vote-by-Mail ballots paid by check by an unnamed PAC. 2015 campaign records show Councilman Michael Russo as the inexplicable hub with hundreds of paid "campaign workers" in 2015 but only 20 of almost 245 among his reported listed "campaign workers" worked in his ward race. Almost to a person, each of those campaign workers would vote-by-mail in the 2015 Hoboken council elections. 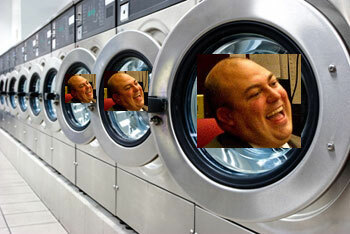 In 2015, Michael Russo spent approximately $15,000 for listed campaign workers, an amount he also declared loaning to his campaign for the same election. For an incumbent facing no opponent, Russo's war chest was largely spent on hundreds of campaign workers outside his ward, mostly in the fourth ward (just under 150 campaign workers) and (68) in the fifth ward. The fifth ward campaign workers all share another factor in common. Every single one of the 68 listed on Michael Russo's campaign report filed with NJ ELEC lives at the same address: 311 13th Street. That's Fox Hill Gardens, the uptown senior building of the Hoboken Housing Authority. A sample of the pages of campaign workers listed at Fox Hill Gardens in the fifth ward paid by Councilman Mike Russo who ran for reelection in the third ward. William Rojas arrested for alleged voter fraud using Vote-by-Mail is however not among them. The 2015 fifth ward council race featured Reform stalwart and incumbent Peter Cunningham who faced Eduardo Gonazalez backed by Russo on a cooperative slate of six ward candidates across the Mile Square City. The rest of this exclusive investigative report is MSV Premium. To subscribe in 2019, hit the button below. No Paypal account is required. New members will receive the issue in a separate email after signing up.